This recipe was made for what my family calls “mixed gril” that usually involves an assortment of meats. My mom found this recipe for vegan Italian sausages, and it turned out to be a great recipe. 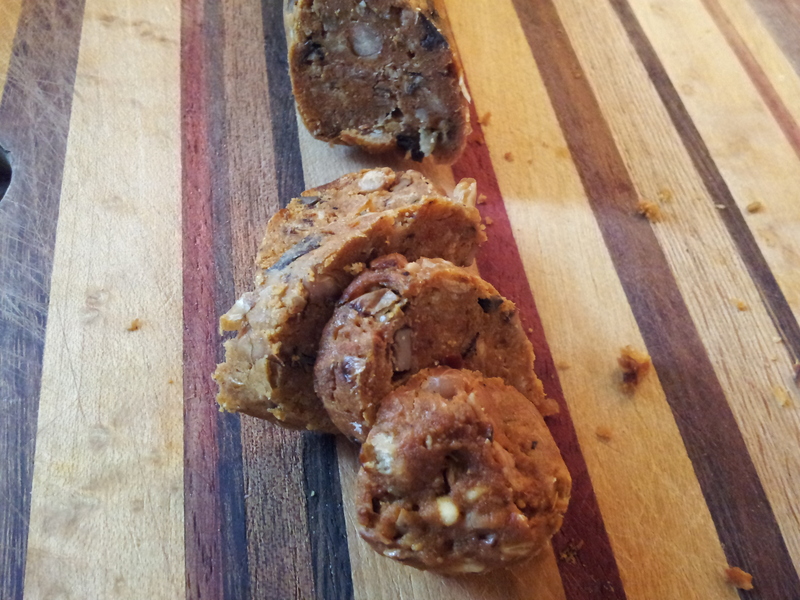 Here is the link to the original recipe, from onegreenplanet.org. I ate them with Hot English Mustard (AKA hem), and the next day I ate them for lunch cut into rounds on a charcuterie board – baguette, avocado, tomato, hummus, olives, and a bit of cheese (flexed my flexitarian there). They are pretty tasty, but certainly do not expect to be eating a pork sausage. When I told my boyfriend about the sausages he sent me this link where you can order cases for homemade veggie sausages. I think it’d be neat to try in the future. I mixed all the spices in a small bowl and set it aside. I started by heating a skillet with the olive oil and sauteeing the onion and mushrooms until softened, about 10 minutes. I added the garlic about half way through. I let the mixture cool while I did the next step. The next step involved mashing the black-eyed peas in a bowl with a potato masher. It is important not to make the mixture a puree, but get the beans nice and mashed. Then, I added the spices, tomato paste, nutritional yeast, rice flour, and xanthan gum, making sure to mix well. I added the cooled mushroom and onion mixture and the Worcertershire sauce. 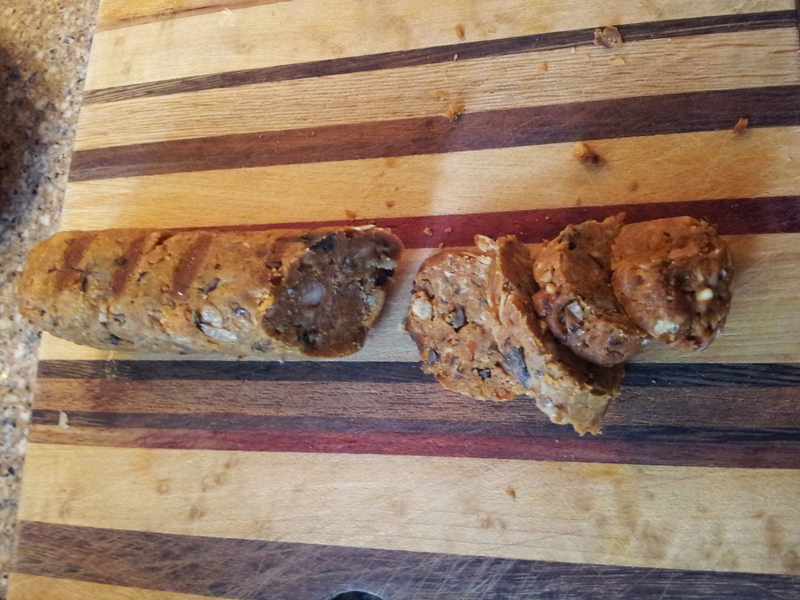 Next, I formed the mixture into four balls and rolled them into sausages, making sure they were as sturdy as possible. I used pieces of aluminium foil, about 6 inches long, to help get the sausages to the right size and shape. I wrapped each sausage in foil. Next, I steamed the sausages between 15-20 minutes, and put them in the freezer once cooled, to use in a couple days. Otherwise, they should be refrigerated for a few hours. The sausages were BBQed, grill lightly oiled and foil off, until browned. This task was done by my awesome stepfather. Three out of four sausages stayed together perfectly well, and one broke in half, so that’s pretty good for homemade vegan meat.